Do you want to compromise on quality and flavour? If yes, then please buy cheaper alternatives else where. NOT sure which Kanger Replacement Coil heads to buy? 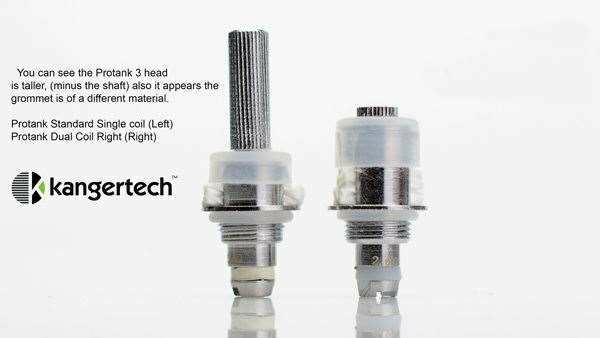 If you don't know which replacement head to buy then please check out our Guide to KangerTech Replacement Coils. These coil heads have been sourced directly from Kanger, so you'll know you're getting the real deal for your Protank and you'll be set to enjoy the clean taste of your favourite eliquids. 1 x Kanger Replacement Coils for Protank V3.0 / Mini V3.0. Above price is for 1 coil only. You will receive 1 coil only (Not full pack of 5). Buy a bunch of replacement coil heads for your Kanger Protank while they are at such a low price! If ordered with other product then Kanger Aero Tank Replacement Dual Coil have free shipping as it will not add any extra shipping charge.